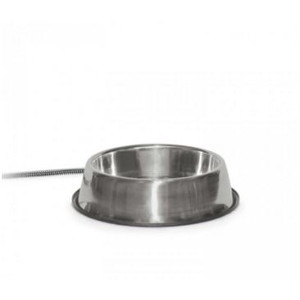 Heated dog water bowl prevents frozen drinking water. Outdoor use, even in frigid temperatures. Low power consumption, 25 watts. Thermostatically controlled. 5.5 ft. steel wrapped cord.